£5,000 donation from industry charity funds a bore hole and playground for Kenyan village. 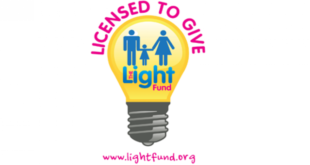 A £5,000 donation from industry charity The Light Fund to Challenge Africa has helped to change the lives of a Kenyan village and the future of 30 orphaned children. 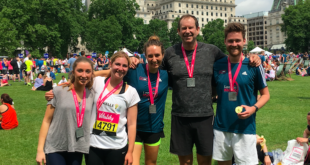 The money – which was a part of the £80,000+ that The Light Fund split between 15 charities in 2014 – went directly to fund a bore hole and playground for Abimbo village in Kenya. Challenge Africa is a small organisation working alongside local people to improve their lives. They believe in hand up, not hand out, so ensure that every donation goes directly towards projects that make a difference. They work hard to reach the most vulnerable members of society, particularly women and children in Africa. The Abimbo bore hole has been the talk of the villagers. Water was located after digging 73 ft (not the 55ft they initially hoped) and all the digging was done by hand. Before the donation, villagers had to walk for miles to collect buckets of dirty water from Lake Victoria or large muddy puddles nearer by. Children were often getting sick from drinking unclean water and crops failed because no-one could ever carry enough buckets of water to irrigate their farms and gardens. Challenge Africa’s director in Kenya, Edwin Ogillo, said: "Everyone feels blessed that they have been thought about by people across the other side of the world. It is deeply humbling that friends we will never get to meet have given so much to help us." Eleanore Regan, founder of Challenge Africa, added: "You have all made such an enormous difference and we are so grateful." 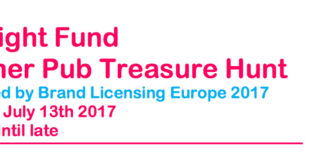 Underground Toys’ licensing director, Robyn Cowling – who is on The Light Fund committee – commented: "It is an honour and a privilege to be able to change so many lives with the help and generosity of our friends in the licensing industry. 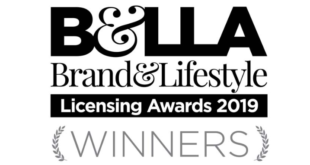 We’re all incredibly proud of what The Light Fund has already and continues to achieve. "To hear about projects like this and know that our fundraising means that dreams become a reality, is incredible."